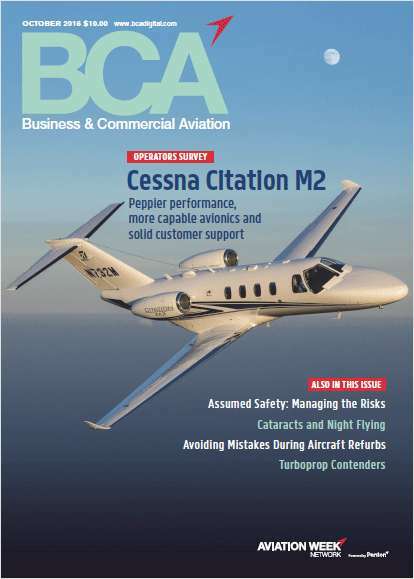 Free Magazine: "Business & Commercial Aviation"
Business & Commercial Aviation's history is embedded in the industry it serves. Do you wish to receive a FREE subscription to Business & Commercial Aviation? Do you or your company own, lease, or operate one or more aircraft for business transportation? How many aircraft do you operate? Are you a member of NBAA? To permit future verification of your request, what is the state/country of your birth? Complete and verifiable information is required in order to receive this subscription. • Geographic Eligibility: USA (Print or Digital), Mexico, International (Digital Only). • The publisher determines qualification and reserves the right to limit the number of free subscriptions.